Cebuanos will likely experience a stiff neck as they drive along General Maxilom Avenue in Cebu City. A newly constructed facility that houses the quality products of an iconic Japanese motorcycle brand will surely not escape their attention. 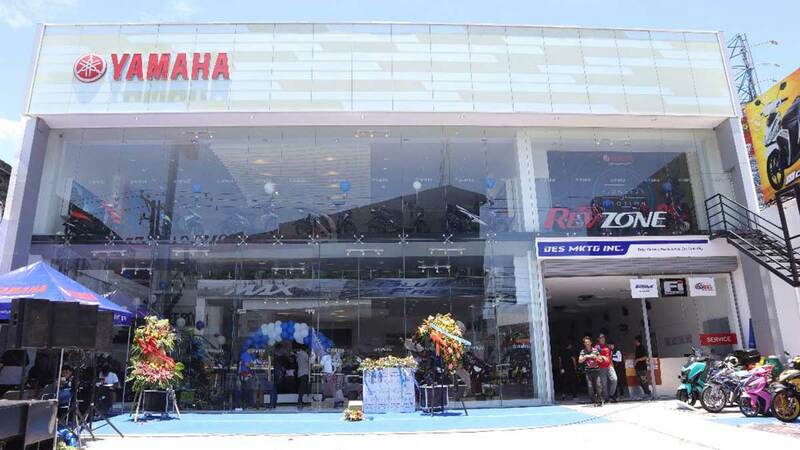 Yamaha Motor Philippines (YMPH) has decided to bestow their crown jewel dealership, the YZone in Greenfield Mandaluyong, with a little sister store in the Queen City of the South. Located along the busy General Maxilom Avenue, this new store, dubbed as 'RevZone,' is poised to rev Cebuano hearts up even higher. 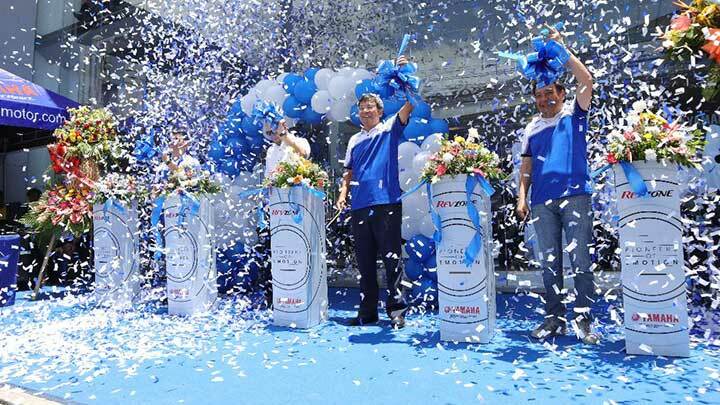 RevZone-Cebu’s doors were officially opened last weekend at an event hosted by charming radio host Joyce Pring. 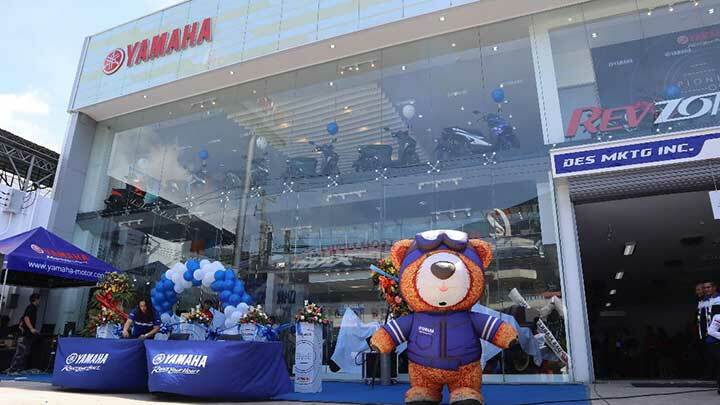 Festivities kicked off in the morning with live music, an appearance by Yamaha’s lovable and bouncy mascot Revvybear, and a bike build contest among local Yamaha riders’ clubs. After the ribbon cutting ceremony, attendees were taken on a tour around the premises. Yamaha’s new southern flagship is structured very much like YZone, with aptly decorated areas for each segment of their motorcycle lineup. These include a chic retro/urban corner for the SR400, XSR900, and MT-Series of naked bikes, a rugged adventure area for the Super Ténéré, a bold central platform for the ‘Max’ line of stylish scoots, an off-road corner featuring the XTZ125, an open area for Yamaha’s ‘R’ lineup of performance motorcycles, and a commuter bike area upstairs next to a mini-café. The showroom exhibits the same level of artistic, modern design found at the YZone at Greenfield District in Mandaluyong City. Also like at YZone, customer care can be felt because of the free WiFi, coffee, and the charging ports conveniently placed in front of the service bay viewing window. 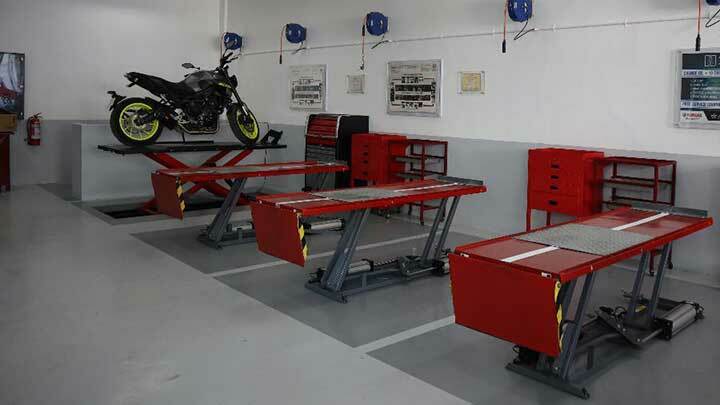 So, riders can kick back and relax with a hot cup of coffee while watching their precious rides get pampered. Riders and passersby alike enjoyed relief from the searing summer heat as they marveled at the cool and clean aesthetics of the showroom, as well as the motorcycles within. 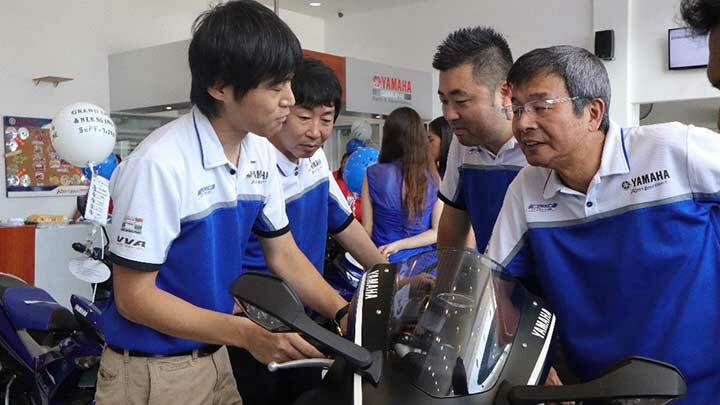 We even spotted Toru Osugi, YMPH company president, gushing over the R1 supersport bike and its features with his colleagues. RevZone’s inauguration was capped off in the evening with a bike night, not unlike those held at YZone. Entertainment was courtesy of a talented local band. Food and cocktails were flowing, and the event had a “rider family” feel. 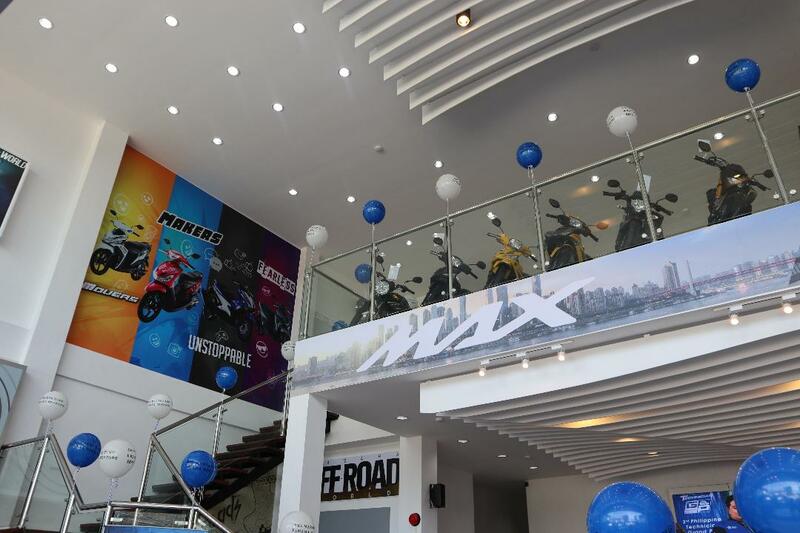 This showroom is the first RevZone in the country, and the 56th Yamaha store owned by DES marketing. 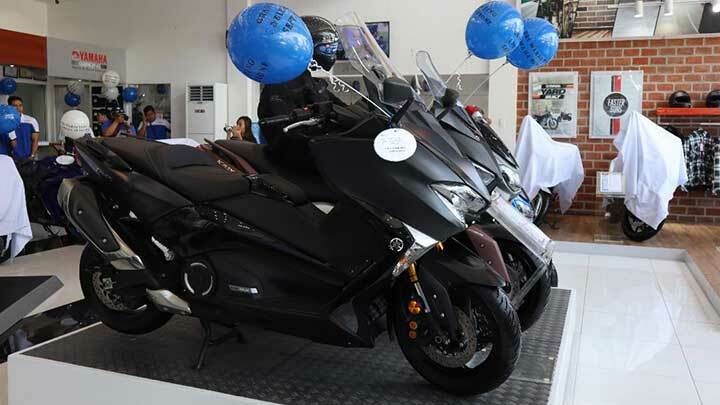 With the opening of RevZone, Cebuano riders need not make the arduous journey home from YZone in Mandaluyong City on their brand-new big bike. 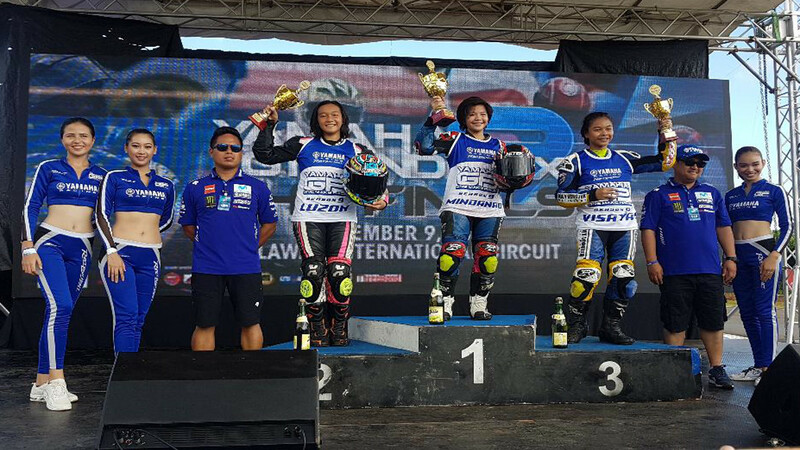 However, a Cebu to Manila motorcycle road trip does sound more and more appealing now.